For most, the term “soda fountain” refers to the soft drink dispensers located in fast food chains and convenience stores, dispensing Diet Coke, Orange Crush or Hires Root Beer. In the earliest days of the soda fountain, though, it had a very different meaning. 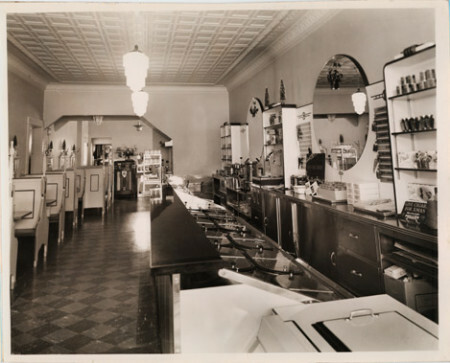 The original soda fountain got its start n the latter part of the 19th century – it was a counter within a pharmacy where the druggist would serve up carbonated soft drinks. He started by dispensing syrup from a large porcelain, tureen-shaped container. He then added chilled soda water to a fill-line marked on the glass to complete a refreshing drink he served to the customer. Some of these soft drinks were made with syrups meant to impart some medical benefit, perhaps to relieve dyspepsia, while others were made simply to quench your thirst. In addition to drinks, traditional soda fountains served ice cream and perhaps a light meal. The practice of drinking soda water became widespread in the 19th century as people tried to recreate the benefit the ancients believed they achieved by drinking and bathing in natural mineral waters. In 1778, Swedish chemist Torbern Bergman and English scientist Joseph Priestly invented a method by which they could carbonate water with carbon dioxide. Others improved upon their method, and in 1807 the first patent was granted to British inventor Henry Thompson. His creation was called soda water, despite the fact it did not contain any soda. The first U.S. patent for carbonation was granted in 1810 to Simmons and Rundell from Charleston, South Carolina. Soda fountain counters had their start in Europe, and were brought to the U.S. in 1806 by a Yale chemistry professor, Benjamin Silliman. He bought the equipment to make soda water and began selling it to the public in New Haven, Connecticut. Silliman’s sales were so great he built a bigger machine, took on three partners and opened soda fountains in NYC and Baltimore. Other entrepreneurs jumped onboard and opened fountains in both NYC and Philadelphia. In 1832, two men helped turn soda drinking into a major business when they began manufacturing soda fountains in the United States. John Matthews, a native of NYC, and John Lippincott, of Philadelphia, enabled the pharmacists to update their soda fountains with the latest equipment. Other manufacturers of the time included Alvin Puffer, Andrew Morse, Gustavus Dows and James Tufts. 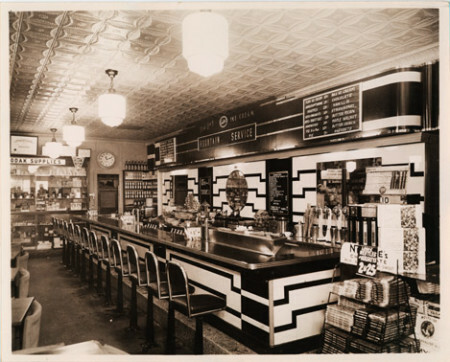 The American Soda Fountain Company was formed in 1891, and included the four biggest and most successful makers: Tuft’s Arctic Soda Fountain, A. D. Puffer and Sons of Boston, John Matthews and Charles Lippincott. Their intent was to create a monopoly of the soda fountain manufacturing business. It was estimated in 1877, that New York customers in warm weather were consuming 200,000 glasses of soda water a day. At an average of 7.5-cents a glass, this was earning druggists in NYC $15,000 daily. 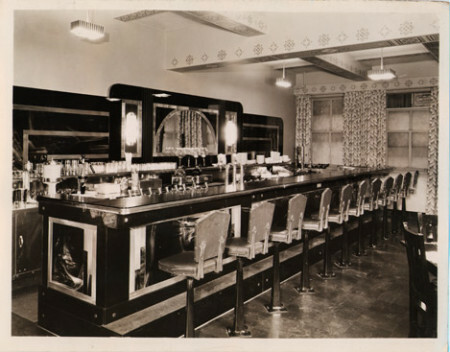 With the popularity of non-alcoholic beverages was steadily increasing, saloons were realizing their first competition. To keep drink and ice cream cool before the days of electricity and refrigeration, natural ice (harvested from lakes and ponds during winter and stored in icehouses) were placed around the containers. Soft drinks were also served as hot drinks. The July 10, 1897 edition of the “American Druggist” states the importance of a pharmacist having high-quality syrups – called “winter soda syrups” – available to mix with hot soda water, and not necessarily just in the colder days of the year. Luncheonette employees await a busy day. The early 1900s saw more manufacturers entering the market with “iceless” fountains that relied on brine to cool drinks. Dominating the market that used this new cooling method were the L. A. Becker Company, the Liquid Carbonic Company and the Bishop & Babcock Company. During WWI, some manufacturers used “50% fountains” which used both ice and mechanical refrigeration. The early 1920s introduced ammonia refrigeration for soda fountains. 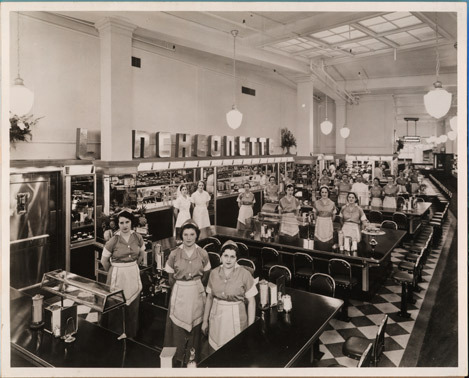 The glory days of the soda fountain continued from the early 1900s through the 1950s. 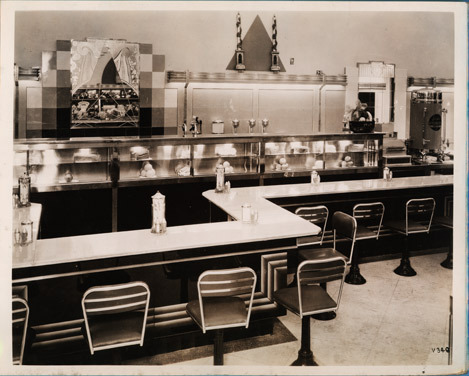 Most fountains featured soft drinks, ice cream and meals, and were known as the place to gather with friends. Soda fountain popularity took a downturn in the late ’50s as people moved out of the cities into the suburbs. The rise of fast food and drive-thru restaurants also contributed to the decline of the traditional soda fountain. There are vintage soda fountains that have survived, giving pharmacies bragging rights and attracting visitors, like the Fair Oaks Pharmacy and Soda Fountain in South Pasadena, California (dating to 1915). There’s also the James Gallery and Soda Fountain in Old Saybrook, Connecticut. It was opened as a general store in 1790 and the soda fountain was installed in 1896. Do you live in a town with a classic soda fountain? We’d love to hear your stories and see pictures!